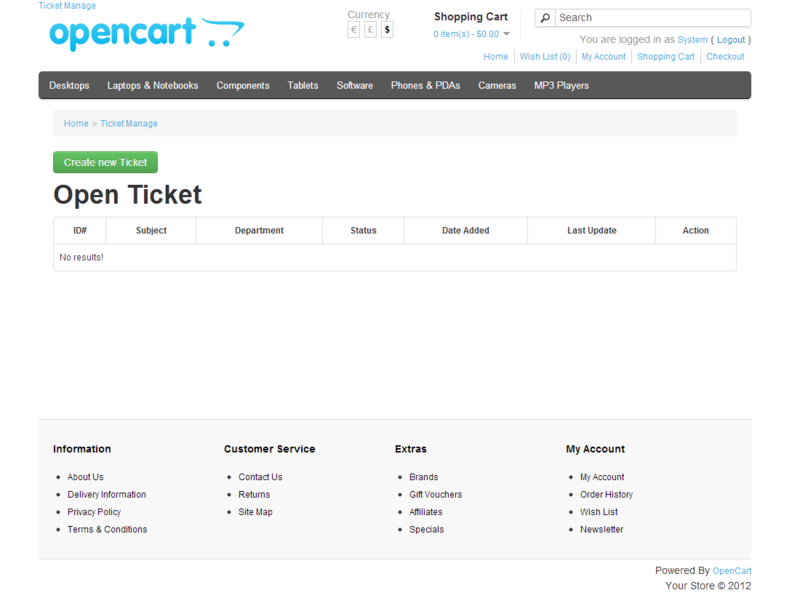 Opencart is an ecommerce platform which really need support system . Tickets is a full featured, yet easy to use help-desk ticket support system.It is great for users and businesses who wish to keep track of and manage support requests online. 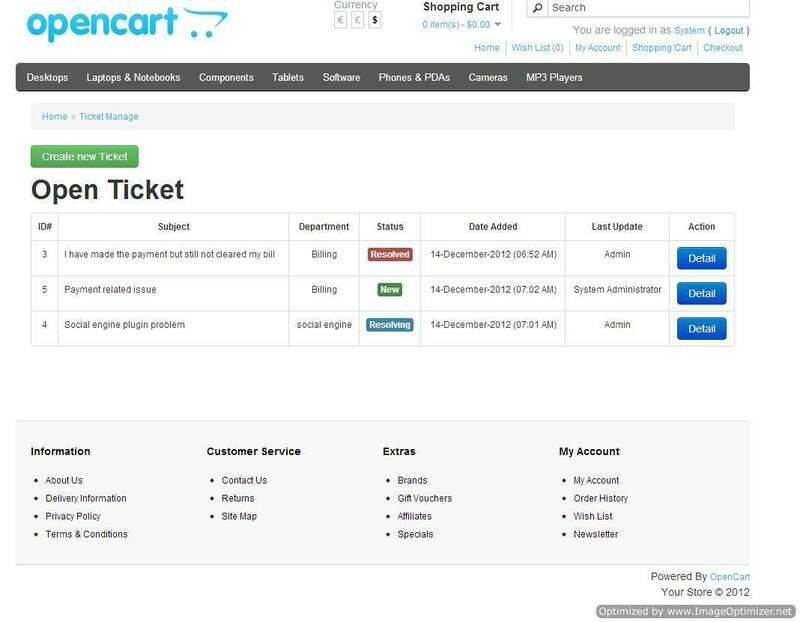 You can create multiple tickets, search tickets, , create custom departments and assign and much much more. Create n number of tickets. . User have to login to create tickets. Admin can set status resolved, resolving or delete or assign to other admin departments. Message is in conversation form. User or admin can know who have last updated the tickets. .
Admin can create n numbers of departments. Admin can delete the ticket as well (Removed from backend and backend both) . Time zone is set for replied or creation of ticket. . Ticket ID?s no. is given. * Customer Email Notification added.